Our Cuddly Critters classroom is an exciting place where your busy little one will thrive in an enriching environment. Our teachers know that your toddler needs the freedom to explore their independence while still being supported in their development. Our Teachers will provide your toddler with plenty of love and support while teaching and encouraging them to explore their new and growing skills. We believe in the importance of structure in a Toddlers life to help them feel safe and secure. With this in mind, we keep a consistent daily schedule and follow set routines while remaining flexible to meet the needs of the group. 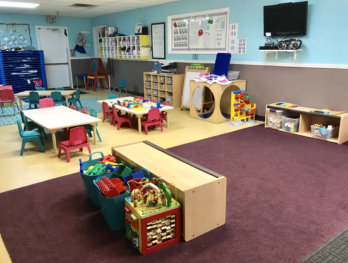 Our Toddler Classroom’s day has been carefully designed to blend and balance quiet and active exploring opportunities and Teacher directed and child initiated activities. Toddlers will also go on one field trip each month. 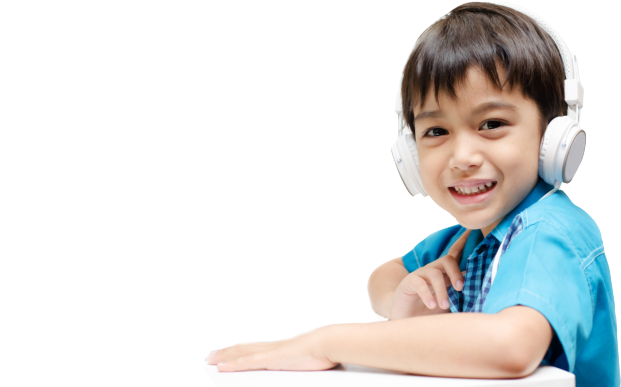 Each day you will receive a daily report that provides you with a glimpse into your child’s day. This report includes information about your child’s meals, naps, and activities along with a special highlight from their day. We also encourage you to take time to talk with your child’s Teacher on the phone or in person at any time.” This report also provides you with a glimpse into your child’s day with a personal note about a special highlight of their day. We encourage you to take time to talk with your child’s Teacher on the phone or in person at any time. We provide formal conferences twice a year. 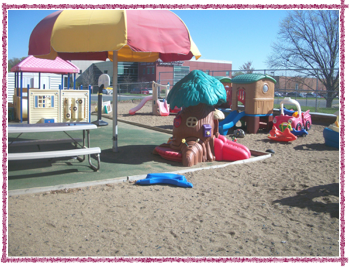 Our Cuddly Critters Room is where we take the first steps in potty training. We make sure potty training is an exciting opportunity for your toddler by providing plenty of praise and positive encouragement. Let the teacher know when your child is ready to start!